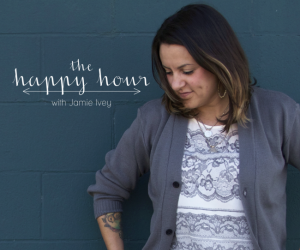 Listening: I recently discovered The Happy Hour with Jamie Ivey and I'm really loving it. I went back through the archives and am catching up on her various interviews with Shannan Martin, Tasha Morrison, Shauna Niequist, Trillia Newbell, Jessica Turner, Gloria Furman, Jen Wilkin, and Jen Hatmaker to just name a few. Also, just finished listening to The Orphan Train on audiobook. It was okay but not amazing. I'm moving on to The Light Between Oceans as my audiobook pick. Should I get my tissues out now? I've heard it's a gut wrencher. Watching: Broadchurch: Series I. If you like British mystery and crime, this is for you. Even if you don't, try it anyway. This is one of the best series I've ever seen. It's gut-wrenching, humorous at times, raw, riveting, and smart. The story, acting, and cinematography (ah, I geeked out the the cinematography) is superb. When it ended it felt as satisfying as a good novel. It follows a family, a town, and two detectives as they seek to discover the murderer of a 11-year-old boy. The premise is sad but it has wonderful redemption moments too. I won't say if we watched the last three episodes all in one night. Ahem. Reading: I got Green Dolphin Country for Christmas. I'd wanted to read it for years, being an Elizabeth Goudge fan but it was out of print for a while, I believe. But the size put me off for a while (it's 767 pages). I decided summer was the perfect time to delve into it. As always, the writing is exquisite, that old-fashioned quality of character development and description I love so much. Eating: We are loving Spaghetti alla Carbonara (so easy) and now that it's zucchini season, we are eating it in many forms like Zucchini Cakes and Sausage Stuffed Zucchini Boats. Drinking: Lots of cold brew iced coffee. Like, everyday. Exercising: I'm getting back into my exercise routine with the help of Tracy Anderson's Precision Toning. With 15 minute segments I can easily fit it into my day and get a real good workout too, either doing one segment or combining them for longer sessions.